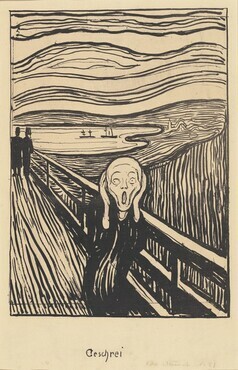 Overview: 59 prints by Edvard Munch were on view in this exhibition, which featured side-by-side comparisons of prints to demonstrate the evolution of images and motifs in the artist's work over time. The works were from the collection of the National Gallery of Art, together with loans from the Epstein Family Collection and the Collection of Catherine Woodard and Nelson Blitz Jr.
Exhibition curators Elizabeth Prelinger and Andrew Robison presented a Sunday lecture, "Edvard Munch: Understanding His Master Prints," on September 26, followed by a book signing of the catalog. Concerts of music by Norwegian composers were presented on October 6 and 10. The New York Opera Society presented the world premiere of Max and Moritz: A Cartoon Opera in Seven Pranks by Gisle Kverndokki on October 17 in honor of the exhibition. Film programs featured Norwegian cinema, including a 1974 documentary about Edvard Munch. Organization: The exhibition was organized by the National Gallery of Art. Andrew Robison, senior curator of prints and drawings, National Gallery of Art, and Elizabeth Prelinger, Keyser Family Professor of Art History, Georgetown University, were curators. Sponsor: The Epstein Family and Catherine Woodard and Nelson Blitz Jr. provided loans and support for the exhibition. 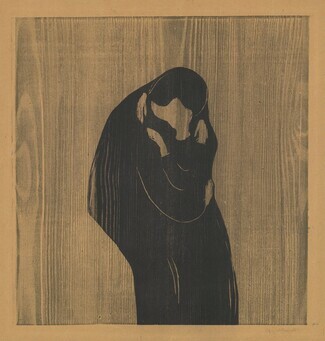 Catalog: Edvard Munch: Master Prints, by Elizabeth Prelinger et al. Washington: National Gallery of Art, 2010.